As we head into the final stretch of 2018 … it is now time to start making plans for 2019 and our personal finances. This year (2018) was the first time ever that my wife and I fully optimized our income to reduce our federal taxes. Based on current tax laws, we were able to use a combination of retirement accounts to reduce our tax obligation … specifically federal taxes. Next year (2019) we plan to do the same. The only difference now is that we want to start ramping up our savings even more. We did a decent job in 2018, but we know we can save more and plan to do just that. In order to save more, we need to have a plan and leverage the retirement accounts we have available to us. Below you will find our initial goals for saving in 2019 and the different accounts we plan to use. Each of the “retirement buckets” below are listed in order of priority. Just like this past year, the first deduction taken out of my W-2 paycheck twice per month is my pension deduction. This is a mandatory contribution … and 6% is automatically contributed to my pension as soon as I get paid. Last year, we projected our 2018 pension contribution at $6,150. After factoring in a hypothetical 2% raise from my job next year (don’t expect much more than that) … we can estimate contributing $6,212 as savings to my pension. As long as I continue to work for my employer, this is the first deduction taken out of my paycheck. Therefore, it will always remain as bucket #1 on our investment plan. The projected pension contribution for next year could fluctuate up or down depending on any raises I may get next year. The current numbers are based on getting a 2% raise starting July 1st (half of the year). Just a quick note on my pension – On top of that 6% personal contribution, my employer throws in a little over 8% match to the pension … which could add a nice source of income when I leave my job. Speaking of leaving my job … I am eligible for a partial pension paycheck in just over 11 years now. Or I could get my full pension if I waited 17 more years. At this point, my plans are to stay for the 11 … and figure out the rest later. One other important point about my pension – Our long term financial independence goals don’t really factor in my pension … so this will be “icing on the cake” for retirement income. There are a lot of unknowns about pensions … so I don’t want to be dependent on it in case something goes wrong. Starting in 2019, the contribution limits for a 457(b) plan will increase from $18,500 (2018 limit) to $19,000. Even though we are not going to max out this bucket this year ($12,905 is likely for 2018) … we have plans to fill up this tax advantage account next year. In order to pay $0 in federal taxes in 2019 … we will need to leverage this workplace pre-tax retirement account. Back in 2017, I opened up this account through my employer in order to optimize our taxes. Now a couple years later, we plan to fully leverage this account. The good thing about this investment bucket is that it is 100% automated. Each time I get paid (24 times per year), the money is automatically invested with pre-tax dollars. This helps to keep our finances and investments simplified … which is something our family is working towards getting better at. The projected 457(b) contribution means I’ll need to work with my payroll department to have $791.67 automatically taken out of each paycheck starting in January (2019). The contribution limits for IRA accounts has also been increased for next year. Starting in 2019, we can contribute up to $6,000 (was $5,500 in 2018) in combined IRA contributions (Roth + Traditional) for my wife and myself. The spousal Roth IRA is third on our retirement bucket priority list after my pension and 457b contributions. We plan to fully maximize this account, in order to optimize our future taxes (not current taxes). Based on current tax law and our family’s income right now … we won’t need additional tax deductions to pay $0 in federal tax in 2019. If we did need additional deductions, then we would invest these dollars into a traditional IRA. But for now, we will stick with the Roth IRA. This means the invested dollars are subject to tax in 2019 but future gains won’t be taxed when we take it out. It’s all a balancing game to be honest with our income level and where we put our money. 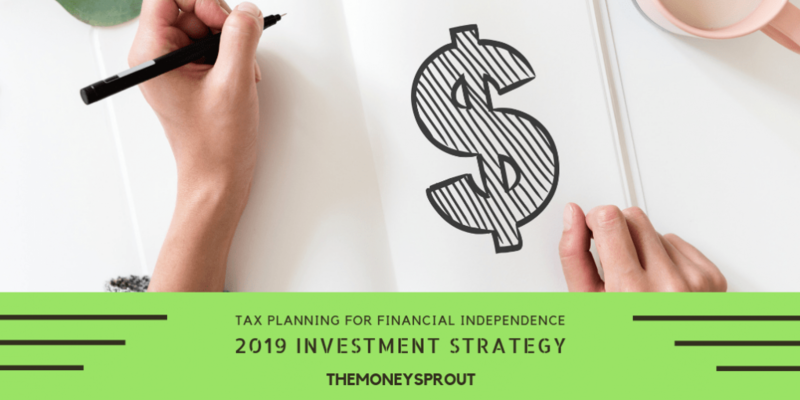 As we work to build our multiple streams of income, we may need to eventually shift our investments to tax advantage accounts like a traditional IRA. After we max out my wife’s Roth IRA account, then we will focus on maxing out my Roth IRA for another $6,000. The same principal applies here with my Roth contributions as it did for my wife. As long as we don’t need additional tax deductions next year, we will build these accounts for future tax optimization. So why invest in a Roth IRA? Based on some back of the envelope calculations, we could bump our income up by another $9,500 annually before we would need to leverage another tax advantage account. This is with the intent of not paying any federal tax next year. The good news is that if we were to increase our income by more than $9,500, we have another tool available which is opening up a 401k at my workplace. One of the good things about working in a state government job is the option of opening both a 457(b) and 401k plan … both of which could be maxed out at $19,000! By opening up a 401k through my work, we could save an additional $19,000 of extra income … and still pay $0 in federal taxes. That allows us to continue maxing out our Roth IRA accounts instead of traditional IRA accounts. To summarize … we have the tools available to earn an additional $28,500 of income (W-2, side hustle, etc.) and still invest in our Roth IRA accounts. Any additional income over that amount and we may need to start leveraging traditional IRA’s for more optimization. Last but not least, we still want to work on building our taxable brokerage accounts. These include all the dividend stocks we own in our Robinhood, Fidelity, and other brokerage accounts. This passive income stream is part of our overall multiple income stream strategy. Even though these are taxable accounts, our brokerage investing is still a very important part of our investment strategy. We are slowly building a solid dividend income stream with these investments. Our goal for this year is to now invest $8,000 to $10,000 of our income into these accounts. I would like to point out that the dividend income we are earning is calculated into our tax optimization strategy. We expect to earn around $3,300 in dividend income in 2018 from our taxable accounts. In 2019, we expect this income stream to grow to at least $3,500. This income is factored into our overall income earned for our taxes. The good news is most of the income we are earning are from qualified dividends … and thus not taxed. Any of the non-qualified dividend income leftover is currently not enough to push our taxes higher at this point. Our goal is to save over $45,000 next year in various tax deferred and brokerage accounts. We plan to leverage multiple workplace accounts including a mandatory pension and the tax deferred 457(b) plan. Both of these combined will help us save over $25,000. It will also help to reduce our taxable income by that same amount. Next we plan to fully fund both of our Roth IRA accounts in 2019 for a combined total of $12,000. These savings won’t lower our taxable income but will rather help us limit our future taxes. Finally, anything leftover (hopefully at least $8,000 to $10,000) will be invested in dividend paying stocks in our taxable brokerage accounts. In addition to these different buckets of savings we are planning for next year, we would also like to increase our income. Doing so would require us to take action and open up a 401k account through my workplace. This step would give us another $19,000 worth of savings potential without bumping up our taxes. Any additional income past that extra $19,000 could then only be optimized by investing in our traditional IRA accounts instead of Roth accounts. So that is our overall savings and investment plan for next year. 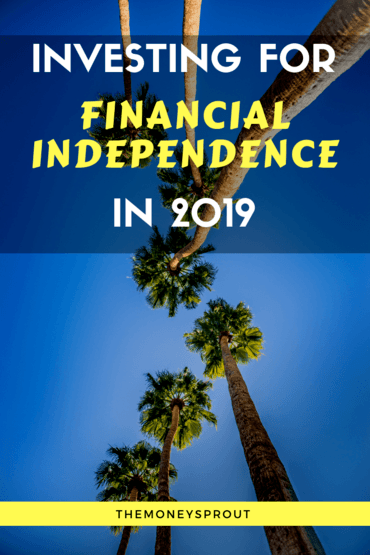 If everything goes to plan, we should be able to save at least $45,000 in 2019 towards our financial independence goals. And if we were able to bump our income up by $28,500 or less … we could still fully optimize our taxes while saving that same amount! What does your savings plan look like for 2019? Are you fully leveraging your tax advantage accounts? What about Roth or Traditional IRA’s?